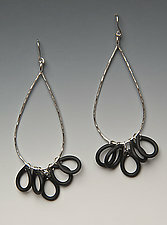 "I create jewelry that is pleasing to the eye and to the touch, sophisticated and casual, versatile and unexpected." 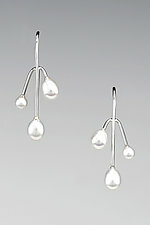 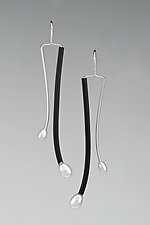 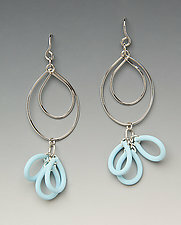 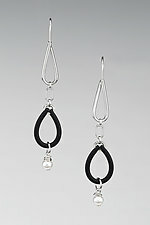 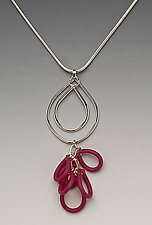 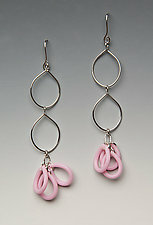 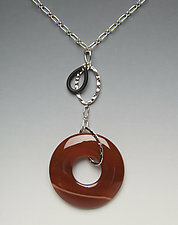 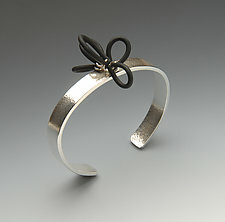 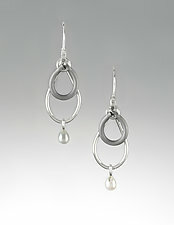 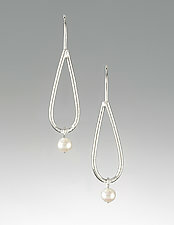 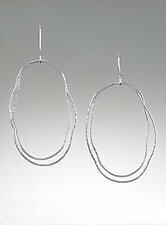 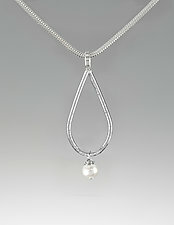 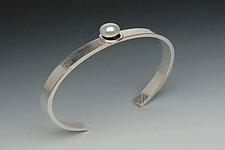 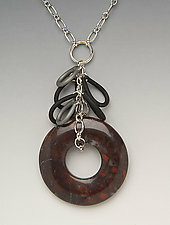 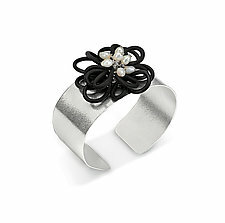 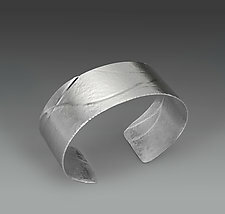 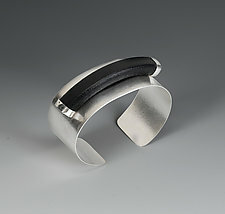 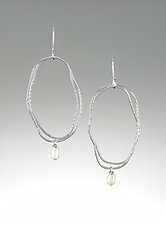 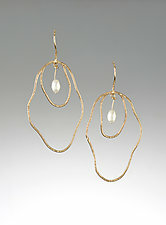 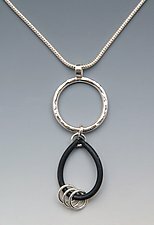 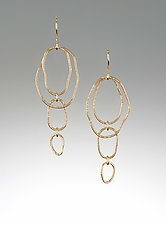 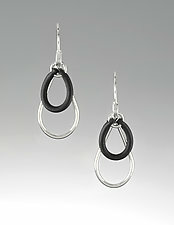 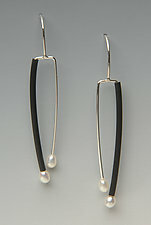 Lonna Keller creates jewelry pieces that are simple and elegant. 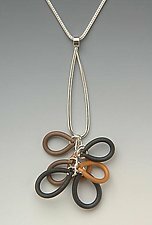 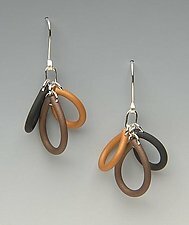 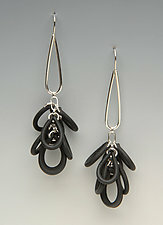 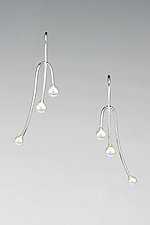 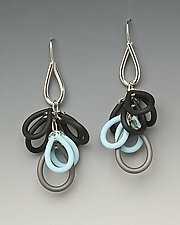 She has always been drawn to neutral colors, featuring black, white, and various shades of brown in much of her work. 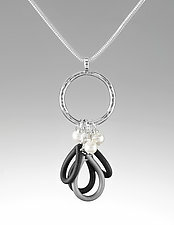 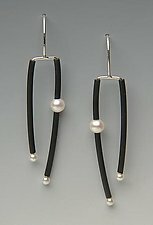 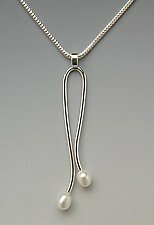 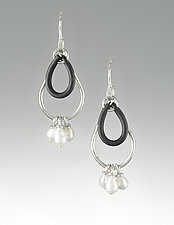 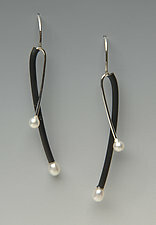 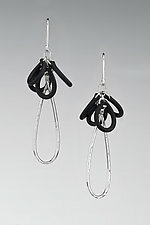 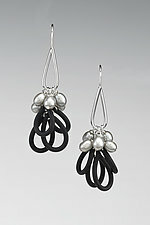 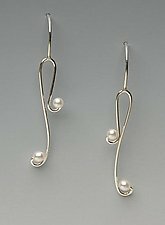 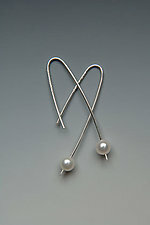 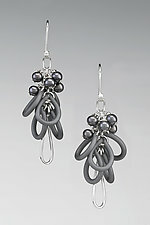 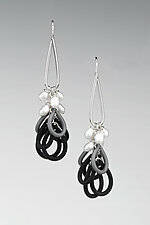 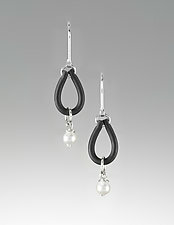 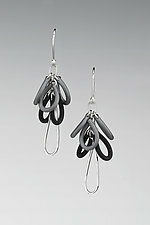 Using neoprene rubber in combination with sterling silver wire and freshwater pearls, Keller creates uniquely versatile pieces. 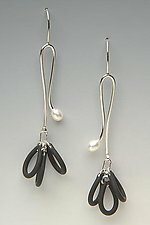 Her pieces exude a sense of high spirits and effortless sensuality that can be worn formally, casually, or anywhere in between. 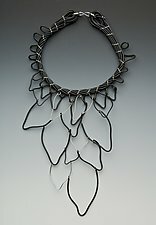 The jewelry and body adornments of award-winning artist Lonna Keller have been exhibited in museums and galleries throughout the United States and abroad. 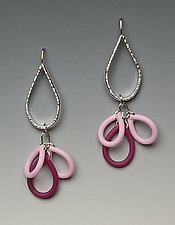 Major collections of Keller's work are held by the Renwick Gallery of the Smithsonian and by private collectors. 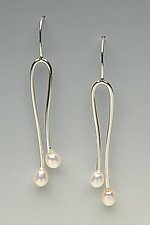 Keller received an MFA in metalsmithing in 1998 from the University of Iowa, a BFA in metalsmithing, and a BS in sociology/anthropology in 1994 from Nebraska Wesleyan University.